Buying baby furniture and designing the nursery is one of the most exciting parts of pregnancy! There are so many incredible baby products out there and at Babyology we love exploring all of them. But one thing we don’t touch on often is how to purchase high end products for a fraction of the original price. It’s all about knowing where to look. Gumtree is one of the premium online markets for new and used goods from suppliers across Australia where you can buy, sell and win at scoring some serious baby bargains. Many of the products on offer are in new or almost-new condition, especially baby items. You may be surprised to find premium baby furniture without the premium price. 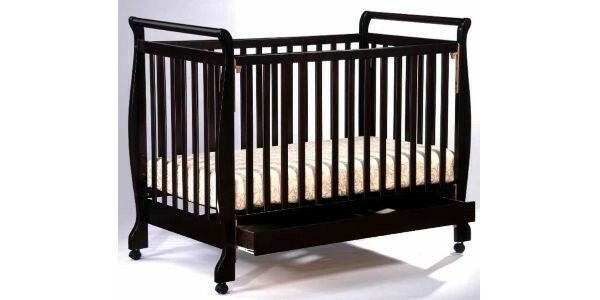 In stores you can expect to pay upwards of $2000 for a decent cot and more than $500 for a beautiful bassinet. You’ll want to look for a cot that is high quality, safe and durable, especially if you are planning to have more than one baby. High quality and well-known brands are also easier to sell for a decent price when you are finished. We found this gorgeous brand new three-in-one wooden baby cot in pine for $220 from a Gumtree seller in New South Wales. The cot transforms into a toddler bed as well as a kids’ sofa and comes brand new in the box. 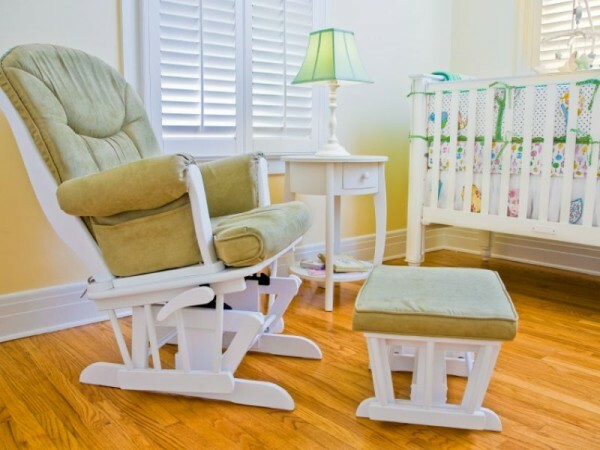 Not only does a glider or rocking chair make a beautiful addition to a nursery, but it is also essential to have a comfortable chair in which to feed your baby, especially at night. You can sometimes find gliders and rocking chairs on sale in premium baby stores for around the $500 mark. 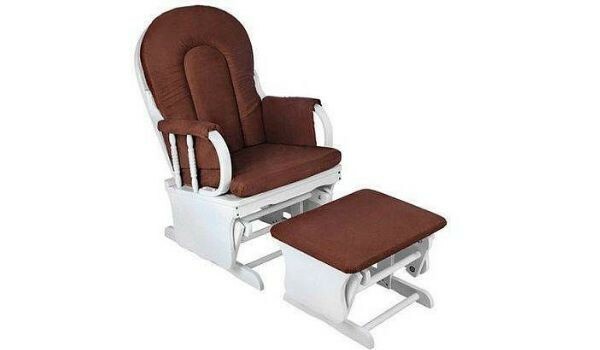 Or, you can hop onto Gumtree and find a brand new glider chair with matching ottoman for under $200! We found this stunning white glider from a seller in Victoria. 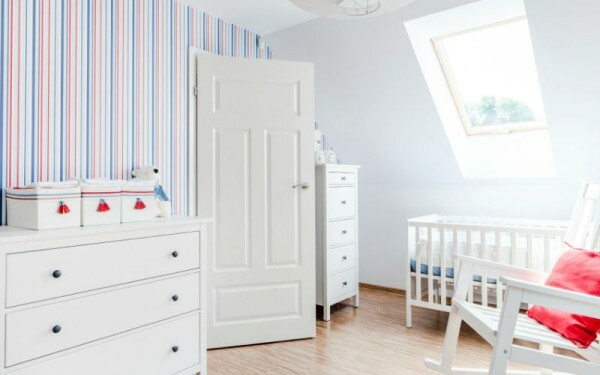 You will need an area to keep all of your baby’s stuff (and there’s always more of it than you imagine). We absolutely love this Kaloo oak lowboy drawer unit which doubles as a dresser and a change table in one. The funky and colourful design will give the nursery a unique edge and there is plenty of storage space for nappies, clothes, wipes and even toys. These hard-to-find items can cost thousands of dollars in premium furniture stores. Or, you can pick up one like this in beautiful condition from a Gumtree seller in South Australia for $1,100. Make sure you also browse through the baby toy section where you can find plenty of used baby toys, both large and small. Again, many have only been used a handful of times simply because the baby didn’t like the motion of the bouncer or swing. 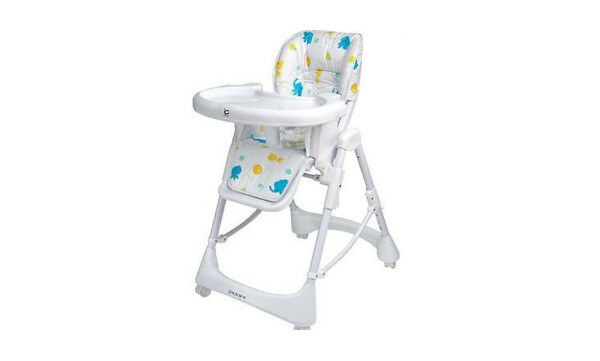 While you may not need a high chair right away, you will as soon as you enter the baby food territory. 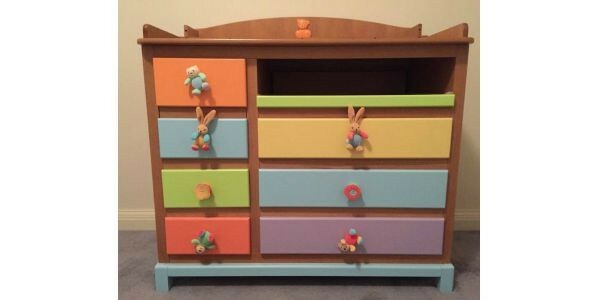 So why is Gumtree such a gold mine for baby and nursery items? Often parents receive more items than they need from friends and family. We ended up with two change tables with my first, simply because we bought one and then our in-laws surprised us with one. We sold one of them on Gumtree, brand new, still in the box, and for a really decent price. Often parents discover after they have purchased an item that it just isn’t right for their baby. We bought a bassinet on Gumtree for a fraction of the price of the one in the shops. When our newborn son arrived and hated sleeping anywhere but in my arms, we sold it for the same price and this money was then used to buy a baby carrier we always wanted. Winning! With Gumtree we were able to buy baby products for less, sell baby products for more and win at parenting. * When buying dressers, used or new, make sure you have the correct anchor points in place.